Friendly service, unobtrusive and genuine concern for each guest, cleanliness and comfort not only in the brochures and photographs, also in reality. Our guests often focus their attention on it. Excellent value for money, without exaggeration. By visiting us you will realize that it is really worthy place. 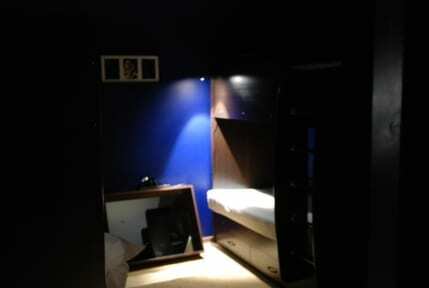 Hostel located in three steps from, the most important transport hub in our city. The hostel is located near the metro station ''Заельцовская'' (Zaeltsovskaya), a major transport hub ''Площадь Калинина'' (Kalinin Square). 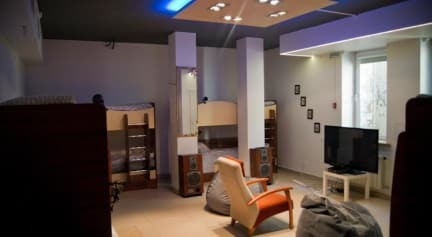 Our hostel has all the necessary equipment and amenities: kitchen (cooker, kettle, microwave, dishwasher), washer and dryer, hair dryer, iron, ironing board, computer, printer and scanner, game console, TV, and more. Steady WiFi Internet throughout the hostel free of charge. We organize transfers, meet and bring to the hostel! The interior differs by offering individual internal and external space.